“LONE WOLF” The Life and Death of U-Boat Ace Werner Henke. By Timothy P. Mulligan. This book presents the true story of World War II U-Boat ace, Werner Henke and his U-515. As the Commander of Germany’s U-515, Werner Henke sank 26 Allied vessels; two were war-ships. On April 9, 1944, U-515 was attacked by four American destroyers working in a hunter-killer group. The submarine was badly damaged, forcing Henke to surface his boat. On the surface the defenseless U-boat was sunk by aircraft and gunfire from the destroyers. 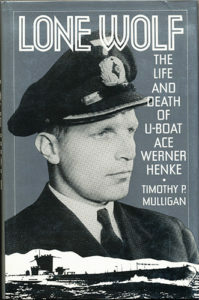 Sixteen of U-515’s crew were killed, but 44 survived the attack, including Commander Werner Henke. Werner and his crew became American POW’s. In June of 1944, Werner was shot and killed as he attempted escape from the POW camp––the only U-Boat commander shot while attempting to escape in the United States. 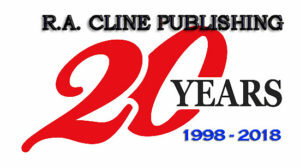 Hardback edition with dust jacket. 247 pages with 10 black and white photos. Appendix, bibliography and an index.